We are a one-of-a-kind place on the coast of Maine that connects farmers, eaters, and learners to the land and animals at the core of our food systems. A sustainable coastal farm for nearly sixty years, Wolfe’s Neck is home to an oceanfront campground, leading demonstration farm, and educational resource center for innovative practices in regenerative agriculture. We are thrilled to announce this year’s Farm to Table series lineup! Attend a dinner in our popular (and often sold out) series for a taste of the season. Each event features a partner chef, highlights local, in-season produce and pasture-raised meats, and supports our important work to connect people to farming and food. Start your Earth Day weekend with a visit to Wolfe’s Neck Center! We’ll be highlighting the importance of caring for our environment in a variety of farm programs throughout the day. Sign up for one or more! See our programs calendar for details. Sign Up for Your Summer CSA! Commit yourself to a healthy and abundant summer season with a fruit & vegetable share that supports our farmer training program and gives your family a unique farm experience. NEW in 2019, you can now purchase meat and egg shares, too! Community Programs, Workshops, and More! There are plenty of reasons to head out to the farm during the spring months. 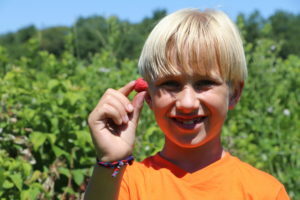 At Farm Camp, kids engage in hands-on learning about sustainable agriculture and the environment. Campers take care of livestock, tend our gardens, and make new friends while exploring 626 acres of farmland, forest, and coast. 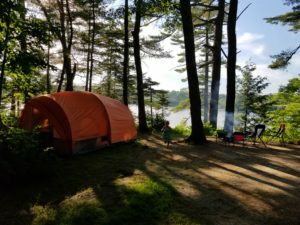 Spectacular views of farmland and ocean make you feel far away from it all in our award-winning oceanfront campground. Located just five miles from downtown Freeport and L.L.Bean, great shopping and restaurants are only minutes away. Engage in moments of fun and learning with your family through one of our many farm and campground programs led by our educators. Our Business Partners invest in the future of food and farming by supporting Wolfe’s Neck Center. Their marketing partnership connects them with the tens of thousands of visitors who come to the farm each year. Want to be the first to hear about our exciting events, programs, activities, and more? Sign up for our mailing list!